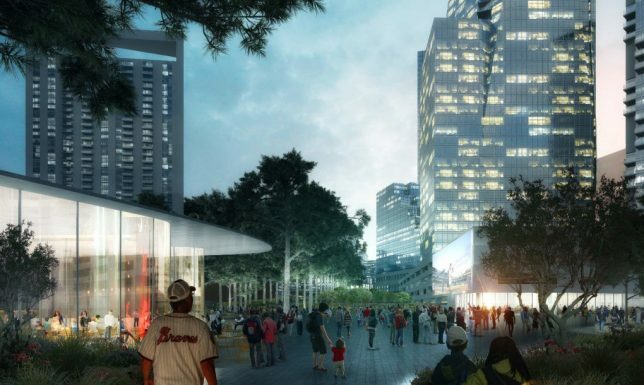 Connecting fragmented sections of a divided metropolis, this new elevated park will help stitch together an area near downtown Atlanta while providing fresh public green space close to the heart of the city. 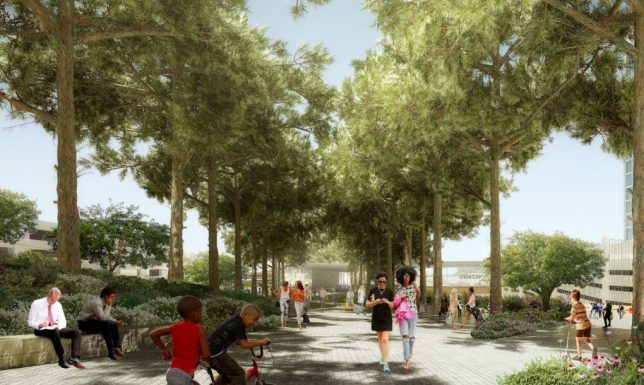 The raised park will ultimately span nearly a half mile across the urban hub, tying into existing parks, paths and trails. 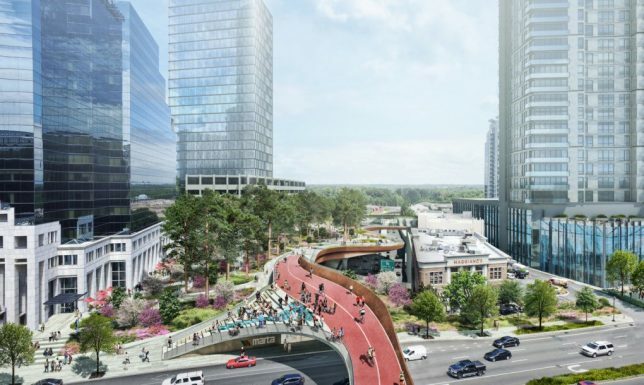 Like many American cities, a mid-century rush to facilitate car traffic ended up leaving a legacy of disconnection in Atlanta. 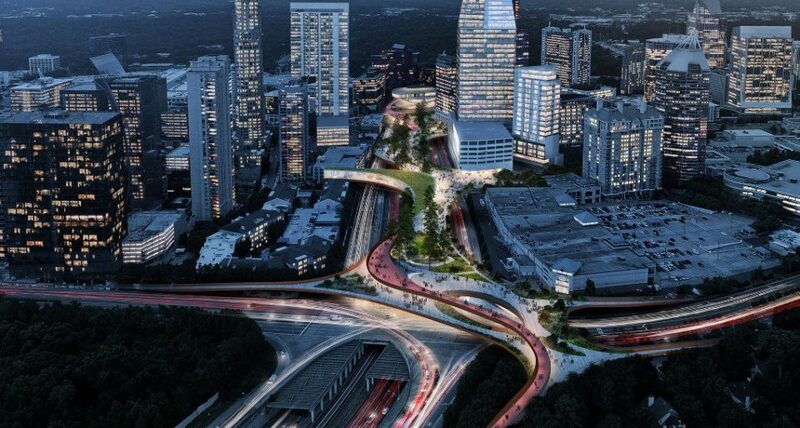 The downtown and peripheral core is wrapped in high-speed roadways and bisected by busy streets, which the Buckhead Park seeks to overcome with a strategy similar to that of Freeway Park in Seattle. 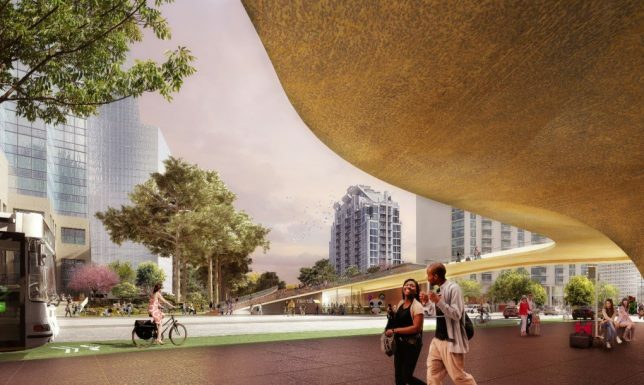 The park is divided into a series of different areas with varying amenities, which in turn will also help with staging the construction (much like the segmented Highline in New York City, built in iterative steps). The northern portion features a commons with an amphitheater. The southern section boasts a lush garden space. In the middle, a plaza is designed to serve area retail and restaurants. Native plants will be irrigated with collected storm water reclamation systems, helping provide shelter from the hot Georgia sun. Designers from Rogers Partners and Nelson Byrd Waltz aim to bring coherence to the disparate areas of downtown, allowing safe and easy options for pedestrians. 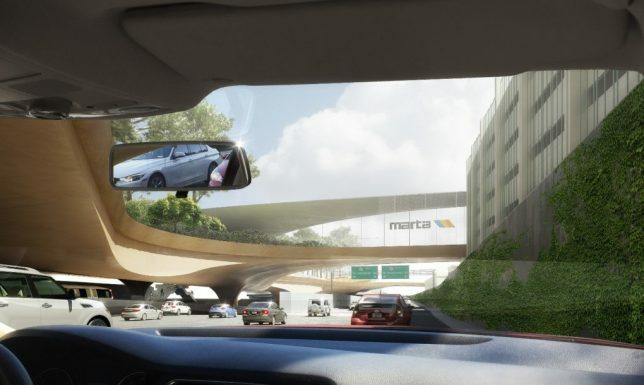 Their project will also connect to Park 400, a cycling and jogging trail currently in the works. The project’s creators also hope their work will inspire other cities to think about ways to reconnect divided downtowns.